The heatwave is finally here and as we all enjoy (or suffer in) the heat now is a good time to pull out those fragrances that refresh, revitalise & defeat the blazing heat of the sun and stuffy, humid air. It’s a time where perfume can be your greatest weapon when attempting to conquer the unrelenting enthusiasm of the sun. 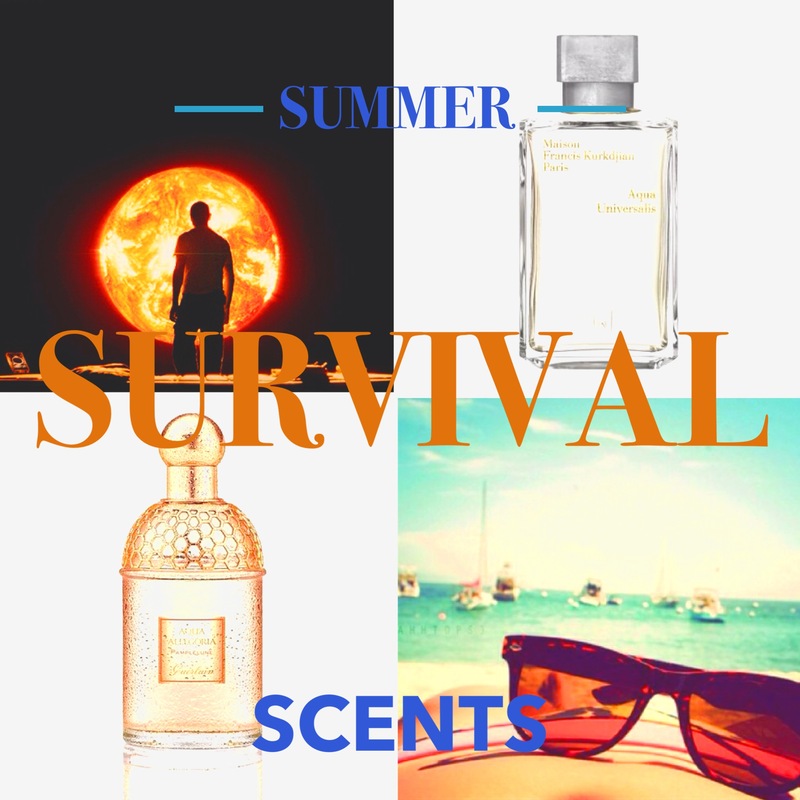 My Escentual Post last week looked at two new releases that are perfect for summer (Guerlain Nerolia Bianca and Dior Homme Cologne 2013) and it got me thinking about those fragrances that I swear by in the summer – or as i like to call them: ‘my summer survival scents’. Some days it seems almost too hot to do anything, but these scents can be an essential part of your summer survival kit. All you need is some cooling citrus, a few fresh fancies, a couple of manly mints and a generous dose of flowers and fruit, and you’ll be all set to tackle the heatwave of 2013! The first, and most obvious category of scents to spritz during a heatwave is citrus. Citrus scents can offer a much-needed dose of mouthwatering freshness to give the impression of a shower of sweet moisture. They are also pretty good at providing a shot of vitamin c, injecting a jolt of energy and combatting the malaise that summer brings. My first go-to citrus is Guerlain’s Pamplelune – a scent that could easily be bestowed the title of; ‘best grapefruit perfume ever’. What makes Pamplelune so wonderful in the heat is the intense explosion of refreshment it gives upon hitting the skin and the fact that it lasts, and lasts. The sun-kissed, yet sulphorous note of grapefruit is perfectly complimented by a large dose of acidic patchouli creating an effect akin to squeezing freshly picked fruit all over your body – it is simply glorious. 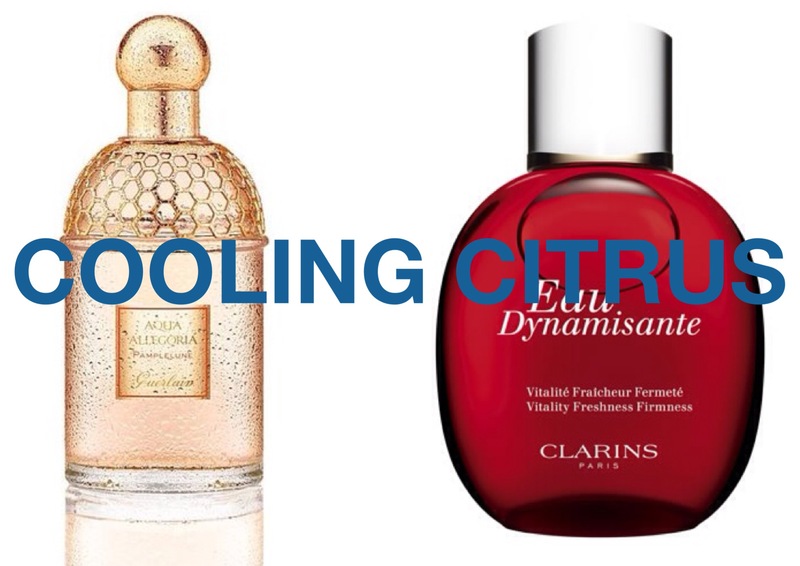 Clarins’ Eau Dynamisante is another citrus staple that is an essential piece in any summer survival kit. Having been on the market for over 25 years, Eau Dynamisante knows how to combat the heat and does so with a zingy blend of lemon, herbs and ginger all supported by a biting chypre base of patchouli and moss. It may be just a bit too ephemeral for my liking but most of the pleasure in wearing Eau Dynamisante comes from the ability to spray it generously over, and over again. Freshness comes in many forms: it can be the ozonic spray of salt water; the blast of steam from a shower; or even an ice cold glass of orange juice, but perhaps my favourite type of freshness is the ‘just-laundered’ variety – after all is there any smell more pleasing than freshly washed linen? Maison Francis Kurkdjian’s Aqua Universalis is an exceptional laundry scent, so good in fact that it’s not just a perfume, it’s also the scent of his washing liquid and fabric softener. What makes this ‘universal water’ so delightful is the fact that, along with the blinding white light of bergamot and musks, it possesses an addictive white floral heart, showcasing an understated muguet note. I honestly could not survive summer without this one. Speaking of laundered freshness, one would be a fool not to include Thierry Mugler’s Cologne as part of a summer survival kit. Cologne takes the steam from a piping hot shower and mixes in a generous slug of juicy citrus, green notes and vetiver. In addition to these lovely notes, perfumer Alberto Morillas added the infamous ‘S’ accord (rumoured to stand for ‘Sperm’), a saline, almost soapy note that really gives Cologne the X Factor. Mint, when used correctly, can be a phenomenal note in perfumery – it’s a double threat, smelling great with its sweet, herbal quality as well as having a refreshing and cooling effect thanks to its mentholated nuances. Done wrong however, and one can find oneself spraying on liquid toothpaste – not cool. The two masculine mints I have chosen definitely hit the right spot. 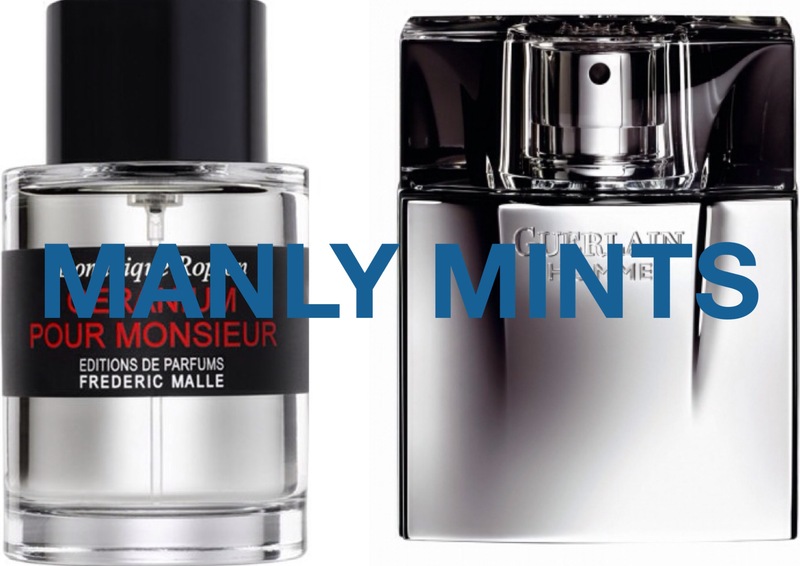 Frederic Malle’s Geranium Pour Monsieur, as you would expect, is a good mint fragrance. In fact, one could argue that it is the best mint fragrance to ever have graced the air. The mint in the top notes is bracing, cold and almost oily in texture. It fizzes out of the bottle and is quickly accented by the soft, rosy aroma of geranium and a robust base of musks. Top tip for this one – place your bottle in the fridge and spritz generously for a truly mind-blowing mint experience. 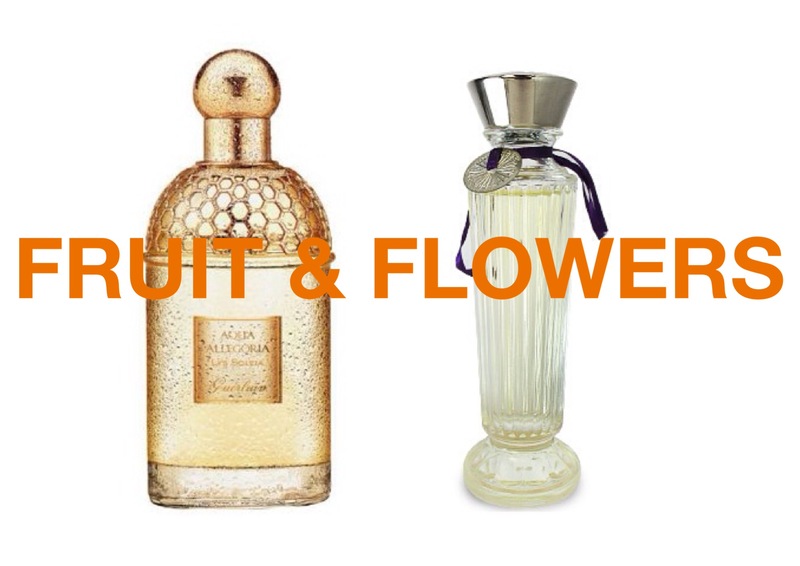 What would a series of summer survival scents be without a generous helping of fruits and flowers? Nothing, that’s what – nothing! Regular readers will know that I love my flowers, specifically those of the white kind, but I’m also partial to a bit of fruit to and am in my element when the two come together. Guerlain’s Lys Soleia was one of last year’s best scents and it appears to have survived the brand’s annual culling of their Aqua Allegoria line – and deservedly so I must add! The best way to describe it is as a lily-flavoured crème brûlée where the salty white plumes and bitter green stems of lilies meet a soft and velvety vanilla with a twist of lemon for good measure. The whole thing is delightfully sheer and shrouds you in a veil of light, almost-edible sunshine. Bombay Bling! from Neela Vermeire Creations is an all-out festival of fruit – a tour de force of colour. There’s all-sorts going on – dewy lychee, tart blackcurrant, white flowers (tuberose, ylang ylang, jasmine sambac, gardenia etc), rose, vanilla and woods – but it is so expertly blended (by none other than the incomparable Bertrand Duchaufour) that it never feels overloaded or heavy. Bombay Bling! strikes a nice balance and is perfect for those super-hot days when you want something fun, frivolous and fresh. What scents are in your summer survival kit? Leave your thoughts in the comments box below! Posted in Article, Clarins, Editions de Parfumes Frederic Malle, Guerlain, Maison Francis Kurkdjian, Neela Vermeire, Thierry Mugler and tagged Aqua Allegoria, Aqua Universalis, Bombay Bling!, Clarins, Cologne, Cooling Citrus, Eau Dynamisante, Editions de Parfums Frederic Malle, Floral Fragrances, Floral Perfumes, Floral Scents, Francis Kurkdjian, Fresh Fancies, Fresh Fragrances, Fresh Perfume, Fresh Scents, Fruits & Flowers, Fruity Fragrances, Fruity Perfumes, Fruity Scents, Geranium Pour Monsieur, Guerlain, Guerlain Homme, Homme, Lys Soleia, Maison Francis Kurkdjian, Manly Mints, Mint Fragrances, Mint Perfume, Mint Scents, Mugler Cologne, Neela Vermeire Creations, Pamplelune, Perfume, Summer Fragrances, Summer Perfume, Summer Scents, Summer Survival Scents, Thierry Mugler. Bookmark the permalink. Other than your fab suggestions CPB I love Ubar, Sun and LDDM in the heat, also Cote d’Amore for that zingy salty seaside fix. Gotta love a zingy salty seaside fix! L’Air is a fab choice. Ooh yes, I remember you mentioning this one. I have a sample on the way. I tend to wear a lot of the same scents year round. Those typical light, fresh summer scents seem to disappear far too quickly in the heat. Plus, I’m in air conditioning most days. Actually I still have to wear sweaters at the office because it’s so cold in there most days. I’m right under a vent so it’s always winter at my desk. I think the most summery scent I own is Bronze Goddess. Bronze Goddess is a good choice to scare away those air conditioning blues! I just wrote down a bunch of those to try. The Malle/mint and Guerlain/grapefruit intrigue me. My currant favorite perfume for the staggeringly hot and sweltering humidity of Florida summer is Heliotrope by Olivier Durbano. I’ve not tried that one, but I do like heliotrope as a note, so I’ll give it a try. Great post! Going to wear my sample of Bombay Bling! tomorrow after your recommendation. Looking forward to more summer scents at your PLL evening next week. It’s nice to have some proper hot weather for once so we can crack open the matching perfumes. I’ve been waiting ages to wear my Cartier L’Heure Brilliante in the heat and now it’s finally hot enough! I totally agree! It’s a nice change to bring out and truly rock those summer scents. Bombay Bling! is about as much fun you can have in a perfume! l love the dryness of Timbuktu, the fizzy green-ness of comme des garcons Sherbet series in Rhubarb, and the dark forest-y coolness of Ormonde Woman. I hadn’t thought of the Ormonde, but your description makes it sound perfect for this weather! I finished my bottle earlier this year and miss it like crazy. It is perfect, and there’s the weirdest delicate floral that rises like a song just when I think it’s all worn off. It’s a marvel of a scent, I must admit. Oh no! Well, I’ll happily send some heat your way! The Hermessences are very good for this weather. I’m digging Vanilla Galante atm. The Dandy has found himself turning to the Aqua Allegorias of late too, in addition to those you mention the sharp, green, almost fennel of Anisia Bella is as cool and fresh as a sliver of ice on a hot day. Meanwhile Laurier Reglisse seems to share something of the base of Nerolia Bianca but with a healthy herbaceous pinch of bay on top. Now, perhaps out of tune with others, I do like a good oriental on a warm summers evening and am finding that Shalimar is working woders for me these days. Shalimar on a hot summers eve? Why Dandy, you are a class act! What a fine selection! I need to try that MFK. My go to citrus is Atelier Cologne Grand Neroli. This summer I added Guerlain Eau de Cologne Imperiale to the mix. It’s short lived but Invigorating. I keep it in the refrigerator. Is it refreshing? Maybe not, but in the summer I can’t get enough of Nuit de Tubereuse. This summer I added another Duchaufour creation, Seville a l’Aube. It’s amazing but it won’t knock NdT off its pedestal. Both those L’Artisans are wonderful. I think Séville would have the edge over Nuit for me, but both really are something! I love me an aqua allegoria summer, spring winter or fall. But my go to summer scent is comme des garcons cologne Anbar. Divine, instant freshness and a little spice. Also adore Lubin Gin Fizz. So perfect! I love your choices – you’ll get through any summer with those!